Home » Donate » Sponsorship » RACK OUT! Battleship IOWA is refurbishing dozens of racks throughout the proud, iconic ship. Now, for the first time in more than 20 years, Battleship IOWA is ready to reassign its racks — permanently! The term “rack” has been used for generations of US Navy sailors to describe their personal berths, or beds, aboard ship. This small (6’ x 3’) rack was their only private space on the ship, and once assigned, could be their home for up to four years! Early racks were spartan but comfortable, canvas hammocks strung from tube frames. Later, the Navy installed included locker-style berths, known to sailors as “coffin racks.” Sailors who were assigned flat racks would also be allocated at least one footlocker. Plaques are permanent, and for a small fee, you can include an inscribed dedication. Rack Sponsors can honor a veteran relative, or Sponsors can honor a deceased IOWA veteran selected at random. Veterans can have their name, rank, branch and dates of service inscribed on a beautiful 5” x 2” brass plaque, at no extra charge. Rack Sponsors may elect to have their own name inscribed on the plaque, also free of charge. IOWA is a big ship, but the berthing visible along the public tour route is very limited. Rack Out on IOWA is a unique opportunity to acquire a permanent commemoration of your or your family’s commitment to preserve and honor an historic symbol of American naval might. 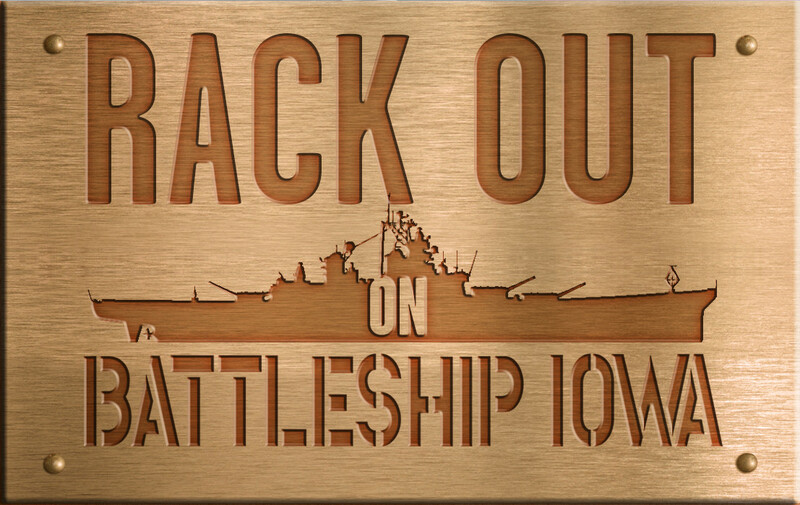 To Reserve Your Rack on IOWA contact our Development Office at development@labattleship.com or call 877.446.9261 ext. 2. 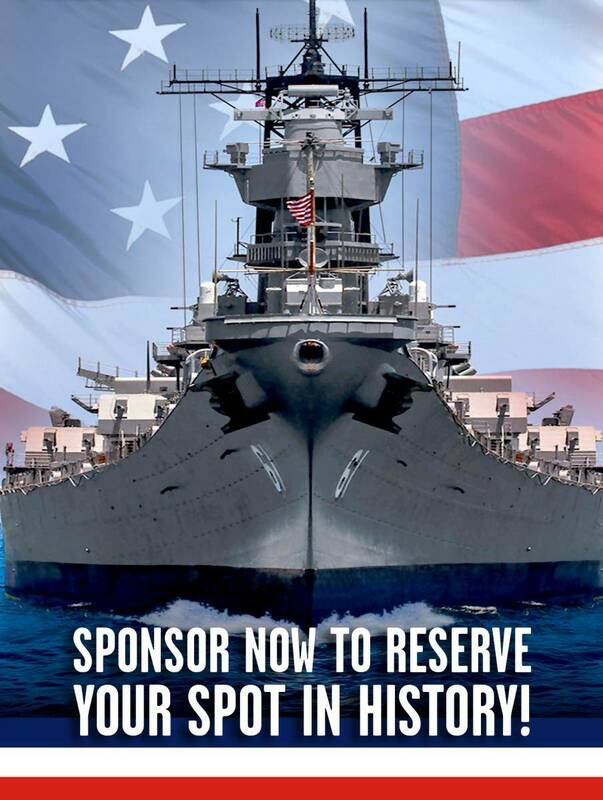 *Please note: While all reasonable attempts will be made to accommodate special requests, Battleship IOWA cannot guarantee sponsorship of a particular rack or berthing compartment location. Each junior officer wardroom will feature two sponsors, unless otherwise agreed to by the PBC and the sponsor. IOWA veterans may sponsor their own personal rack, and these racks may eventually feature their plaque(s) in addition to the plaque of a sponsor. Otherwise, limit is one plaque per rack per sponsor. tax-deductible, as you receive no goods or services of value.